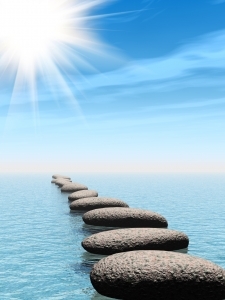 7th Path ® is a revolutionary approach to self-improvement. This Mind-Body-Spiritual approach to self-hypnosis is the only one of it's kind. It is taught while actually in a state of self-hypnosis where you learn to re-program yourself for success by eliminating limiting beliefs and erroneous programming. Imagine being able to "program" yourself for success. What if that was possible? Now with 7th Path Self-Hypnosis® you can. Hi, I'm Erika Flint, Board Certified Hypnotist and Certified Professional Hypnosis Instructor. I teach nearly all my clients this powerful and incredibly simple to use style of self-hypnosis, called 7th Path ®. I also use it myself daily. It clears out the mental and emotional cobwebs that are naturally created with every daily living. It also removes negative programming from the past. The great news is that I also teach this class in group settings. 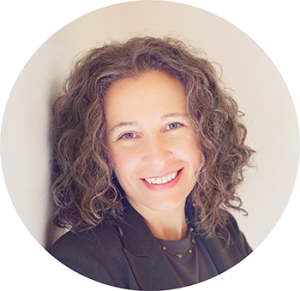 Learn how you can begin to live the life you always wanted by removing limiting beliefs and erroneous programming that is holding you back. If you've tried self-hypnosis before, it's likely nothing like what you'll experience with 7th Path ®, which includes the very important and unique benefit of being a spiritual approach especially designed to utilize an individual's own belief system. It is especially easy to do, and most practitioners will be successful at achieving self-hypnosis from the very first session. Why? 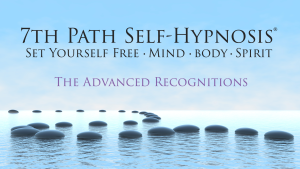 Because you learn 7th Path ® self hypnosis while in a state of hypnosis! Why 7th Path ® ? In the first class you will master the techniques used in 7th Path ® and will begin utilizing them and receiving benefits immediately. Through subsequent classes, your understanding will deepen and you experience the power of 7th Path. You will find the process is simple, yet profound in its ability to help you move forward in your life, past roadblocks and limitations keeping you from being your best. Requiring only 5-10 minutes per day in the privacy of your own home or space is all that is needed. There is no other mind-body-spirit approach to self-hypnosis available. It works within your own spiritual belief system, so it works for everyone. What can 7th Path ® help with? Like traditional hypnosis, 7th Path ® self-hypnosis can help with a variety of issues, like overcoming bad habits such as smoking, eating too much, and substance abuse. It can also help you create new habits, like sticking with an exercise or activity schedule, eating healthier, and studying for exams or school. It can improve your self-image and self-esteem, make you a better partner, parent, and friend. It can help you save money, expand your thinking, and overcoming fears, reduce stress, and sleep better. Comfortable chairs in a professional and safe office environment at Cascade Hypnosis Center in the historic and beautiful Bellingham National Bank building. Ongoing support for all students. Join a worldwide community of students and practitioners. “I suffered from debilitating migraines and allergic reactions with no relief through traditional medicine. During class for 7th Path, I sneezed and went through almost an entire box of Kleenex My headache was completely relieved and I haven’t suffered from allergies since.” ~M. C.
“7th Path has helped me regain my drive for success. After being downsized from my career, I was lost and depressed. I started feeling better during class. Now I practice regularly and again feel my passion for life.” ~G.F. “My constant anger and jealousy almost ruined my marriage. 7th Path® helped me find the peace of mind that I haven’t felt in years.” ~R. P.
“I had no particular religious background so I was afraid I wouldn’t be able to use a system that included spirituality. I quickly realized that I could use my own knowledge of nature to reap the benefits of this powerful form of self-hypnosis and now it takes less than 20 minutes a day to feel this good!” ~V. H.